Another life was lost in a traffic collision less than two hours after preschooler, Jahston Terry, 4, was killed by a van that knocked him down and rolled over his head while he and his older brother were standing on the sidewalk in front of the BTL Constitution Park at about 4:30 yesterday evening. 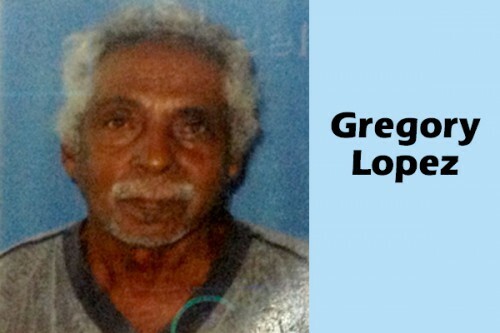 At about 6:00 today, Wednesday, Gregory Leon Lopez, 75, a Belize City resident, died on the spot after he was knocked down while riding his bicycle at about Mile 6 on the Philip Goldson Highway. Lopez was riding to Belize City from Ladyville when he was hit from behind, and fell to the ground, suffering massive head and body injuries as a result. Police say that when they arrived at the scene, they saw the motionless body of a man of East Indian descent on the right side of the highway, and beside the body was a red beach cruiser bicycle. About 62 feet away from the body was a white Dodge Ram truck bearing license plate number 36889. An initial investigation revealed that Eldon Daniel Hendy, 36, of Isabella Bank, and Jafet Lewis, 36, of Belize City, were traveling from Ladyville to Belize City in the truck and upon reaching Mile 6, the truck knocked down Gregory Leon Lopez of Belize City. Lopez died on the spot. Police are still investigating the tragedy.